How do you provide more competitive pricing while maintaining your small business? As the technology partner to dozens of socioeconomic certified vendors, we enable any size Reseller to support the volume of business produced by large customers through technological efficiency. Fully scalable, we can help you support organizations with ten users or ten thousand. Our platform builds capacity by streamlining and automating basic business processes, allowing you to manage more for less. ePS Fulfill is the difference maker for Resellers. It delivers purchase orders to you and automates the process of sending the PO to your distributors. It accepts invoices from your distributors and automatically converts them to invoices to your customers. The most extensive reporting functionality available by any invoice solution provider allows you to easily report tax, produce aging invoice reports, balance bank statements and integrate into your accounting software. How can you be more innovative and automated? What can you offer as a Value Add? ePS provides Resellers with a full eProcurement platform that can be offered to unlimited customers, unlimited users. Add as many hosted or punchout catalogs as you want, even offer different contract pricing to different customers. Our eMarketplace allows you stand head and shoulders above your competition with premier capabilities that meet the high expectations of a sophisticated buyer. With more than a decade of experience, ePS is the technology partner to dozens of socioeconomic certified Resellers. We partner with Resellers of all major distributors in office supplies, maintenance, electronics, scientific supplies and more. Simply put, no one has more Reseller experience than ePS. ePS provides Resellers with a full eProcurement platform that can be offered to unlimited customers, unlimited users. Our eMarketplace allows you stand head and shoulders above your competition with premier capabilities that meet the high expectations of a sophisticated buyer. ePS Fulfill delivers purchase orders to you and automates the process of sending the PO to your distributors. It accepts invoices from your distributors and automatically converts them to invoices to your customers. No manual intervention. We enable any size Reseller to support the volume of business produced by large customers through technological efficiency. Our platform builds capacity by streamlining and automating basic business processes, allowing you to manage more with less. No matter the complexity of your customer's purchasing requirements, we can help you step up to the challenge. With flexible features and robust functionality, we are accustomed to addressing unique customer needs for invoicing, reporting and even system access. We have integrated Resellers into all major third-party platforms including Ariba, Peoplesoft, Jaggaer, SAP, Coupa, Oracle, PerfectCommerce, plus we can help you manage EDI transactions. Our team is skilled and our practices are proven. The ePS platform is PCI-compliant and CISP-certified. 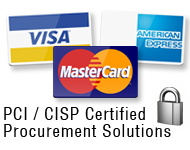 This means that we not only securely store credit card /P-Card information but securely pass the card information on the Purchase Order to the Reseller, and then we process the credit cards on your behalf. Our Cloud-based software is fully scalable, flexible and protected by the highest level of data security. Access is secured through unique logins. Our development team is located in our offices in Auburn Hills, Michigan, providing for faster response times, and innovative team-based problem solving to meet your unique business requirements. Favorite carts, Frequently Ordered Lists, Bulk Uploads, Flexible Catalog Content Views are just some of the features that help you drive your customer's shopping habits. Shopping Dashboard flexibility allows you to bring your sale and featured items front and center. Our ePS Catalog Manager allows for complex pricing strategies to be applied automatically to price files. You can manage unlimited price files for different customers with different contract pricing structures. Approval hierarchies based on multiple factors. Catalog content control allows you to determine who can see what content, and how much can be purchased. Establish budgets for tight corporate control while accommodating decentralized purchasing requirements. Complete reporting available on requisitions, purchase orders and invoices down to the line item level. All reports are exportable to Excel. Addressing socioeconomic-certified spend reporting requirements is effortless. Using ePS Fulfill, you are able to provide Level III line item detail on every invoice. Not only does this make your customer happier, it reduces your merchant account fees on credit card purchases! 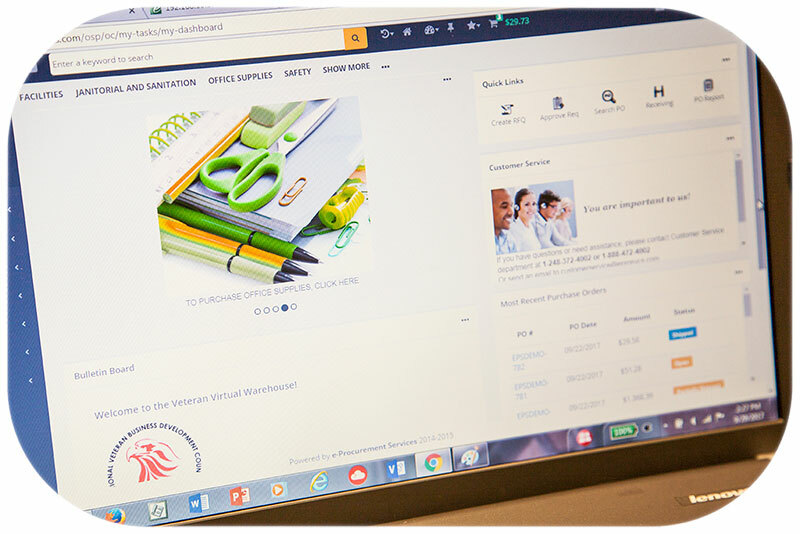 Our Supplier side software, ePS Fulfill, interacts real-time with our Buyer side software, ePS Procure, populating shipment and invoice information directly onto the Purchase Order record. An exact three-way match between order, shipment and invoice can even be confirmed through the Receiving function. Bring on the auditors! Excellent Customer Service is primary to our success. We proudly provide prompt support as an on-going, unlimited, free-of-charge service to all of our customers. We believe that you deserve a friendly voice, a professional email, and timely access to experts who can help you get the most from our platform.